Harmonize your trendy, casual cabinet with the women's Sanita Professional Bowie clog. 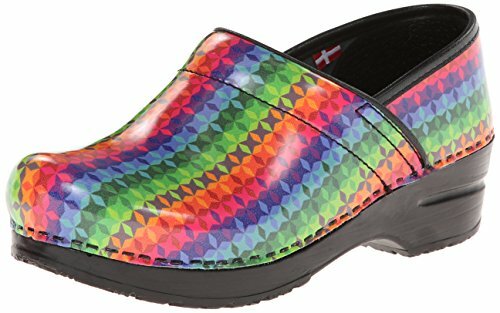 Crafted with easy care, printed patent leather, this clog has psychedelic coloring for a unique look with padded instep strap and leather sock for excellent breathability and comfort throughout the day. 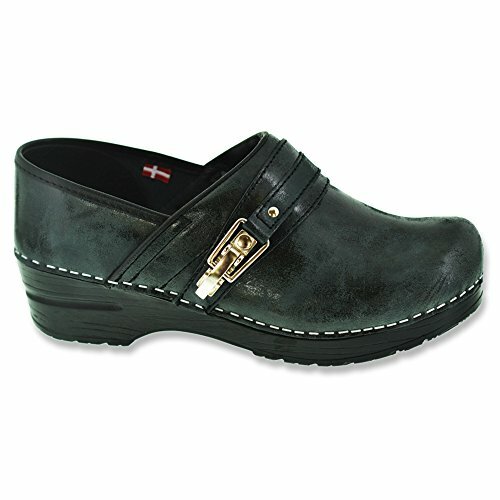 This clog is APMA listed and has an orthopedic rocker bottom outsole that keeps you grounded on multitude of surfaces. 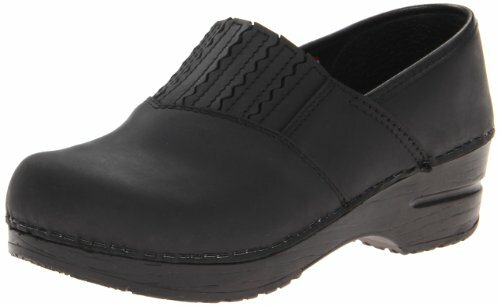 Make standing in line a breeze with the women's Sanita Professional Bowie clog. The Sanita Basil women's casual is an APMA approved clog that has some bold designs on the tongue. This women's casual has an oiled leather upper. Interior comfort is guaranteed by the Synthetic lining. Durability of the clog is ensured by the PU outsole. Women will love the bold design on the tongue of the Sanita Basil women's casual. Professional style in koi little hearts print with easy care upper material. The upper features padded instep for comfort and new slim line strap with silver koi trim. Shine up your casual cabinet with the women's Sanita Pro Skipper clog. 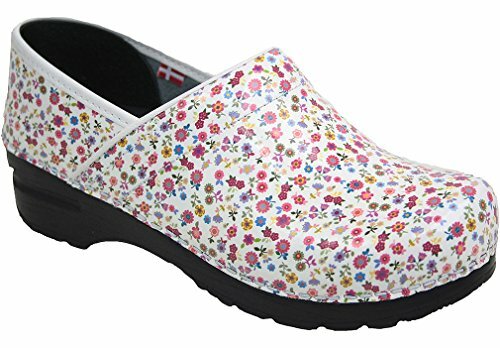 Featuring patent upper, this clog has an attractive floral pattern on the vamp and contrast stitching details for a distinct style. With its padded instep strap and APMA approved leather sock, it cushions your foot with each step. It has an orthopedic rocker bottom outsole that keeps your foot grippy on a multitude of surfaces. The women's Sanita Pro Skipper clog is as voguish as it is functional. 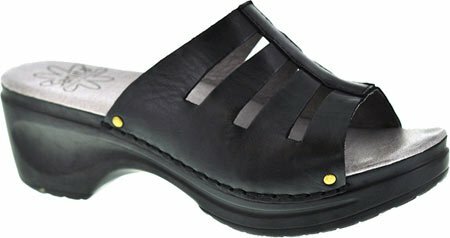 The women's Koi by Sanita Janette clog has a perfect blend of elegance and practicality. Styled with easy care patent leather, this APMA listed clog has turtle print on the vamp for a distinctive look. It has a new fashionable double strap with silver metal stud/eyelet and buckle detailing for easy on/off and a snug fit. With its padded instep, it cradles your foot with each step. Finally, it has a specially designed sole that has Original Staple Bottom to offer a solid grip. 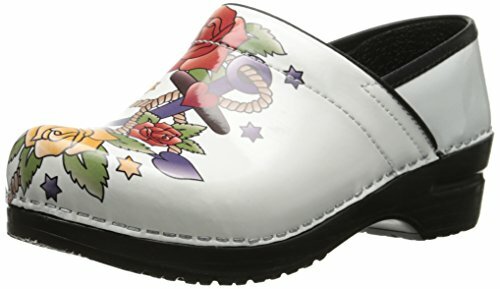 The women's Koi by Sanita Janette clog is an ideal slip-on for a casual outing. Versatile and chic, the women's Sanita Neve mary jane is a wardrobe essential. 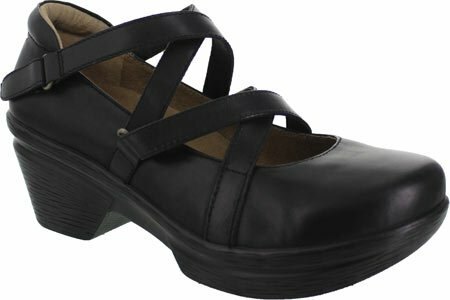 Boasting rich, ultra soft polished leather, this mary jane has attractive crossover strapping with Velcro closure for easy entry and snug fit. With its breathable leather lining, leather sock, and soft cushion in the ball of the foot, it offers amazing comfort throughout the day. This shoe is finished with a sturdy, lightweight, PU rocker style outsole along with a heel cup that lends reliable traction control. The women's Sanita Neve mary jane is sure to inspire you with its plush, unique look and ultimate comfort. 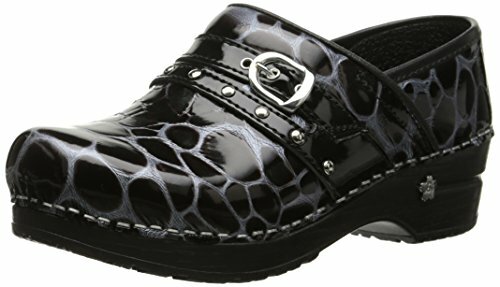 This gorgeous women's slip-on shoe has a woven leather, patent leather, suede, velour, or textile upper and anti-bacterial leather lining for moisture-control and comfort. The anatomical footbed has arch support for a contoured fit, while the heavy-duty, slip-resistant polyurethane outsole of the Sanita clog provides long-term support and traction. Luxurious style and reliability fuse in the women's Sanita Coushatta clog. Crafted with rich leather, this clog has a stylish ski hook metal trim for a unique look. It has a cushioned instep and leather sock that pamper your foot all day long. This APMA approved clog sits upon a specially designed sole with Original Stapled bottom that lends reliable traction control. Express voguish attitude with the women's Sanita Coushatta clog. Exhibit your modish look with the women's Sanita Dasha sandal. Designed with soft burnished leather upper, this mule features cutout details on the vamp for a supple look. Its soft leather lining and comfort padded footbed provide excellent comfort during the day. 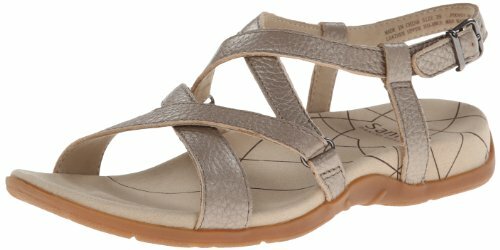 The women's Sanita Dasha sandal delivers incredible style and practicality.